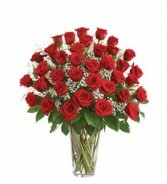 3 Dozen Fresh Roses, mixed with Gypsophila Paniculata and Fresh Greens. 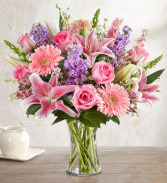 This is a jaw dropping, stunningly beautiful arrangement! 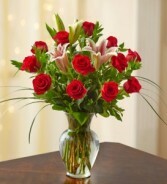 One dozen classic red roses arrangement with stunning stargaze lilies presented in a beautiful glass vase. This is sure to bring the "wow" factor every time. 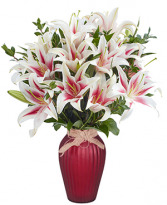 ENJOY THE FRAGRANCE OF LILIES AND MORE LILIES!